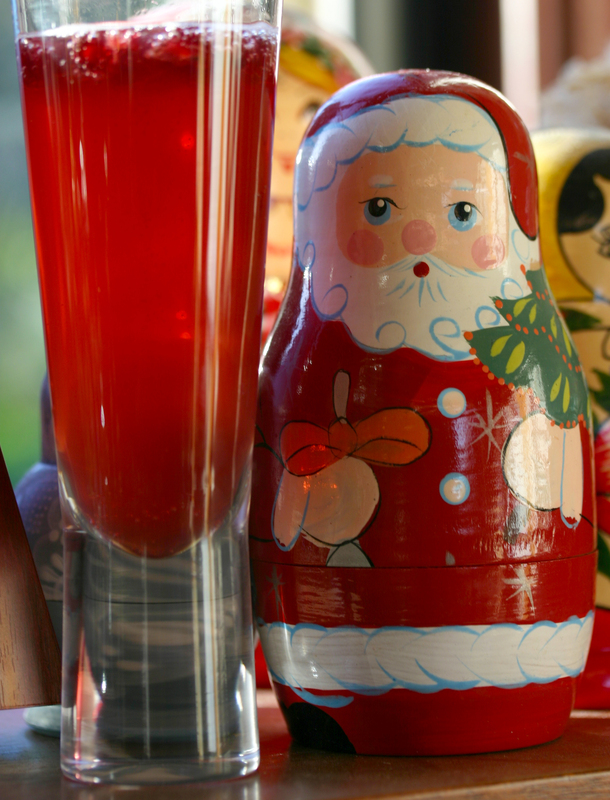 A ruby-bright, festive mix of prosecco, pomegranate juice and fresh pomegranate seeds. I love the way the bubbles cause the seeds to float to the top instead of languishing at the bottom of the glass, the way fruit usually does in a mixed drink. The girls’ version – made with gingerale instead of prosecco – was also surprisingly delicious. 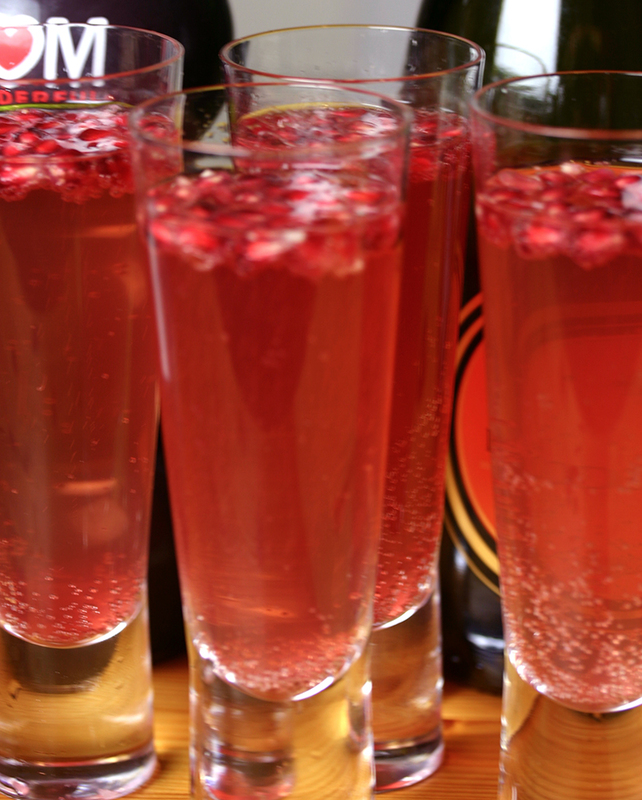 Add a small spoonful of pomegranate seeds to the bottom of a champagne flute. Pour in enough pomegranate juice to cover the seeds. I can personally vouch for the tastiness of this festive cocktail. Ooooh I`ve already got the pomegranate seeds…. (and tidbit that may or may not be of interest… French word is Pomme grenade — so apple grenade 🙂 ) Enjoy the explosion! Thanks so much for sharing that – I’d never thought of it before!